If you got your permit after April 2011 you have to carry out the 12 EDT driving lesson syllabus. We understand you might be eager to get test ready so we focus on helping you through the EDT syllabus as fast as possible. 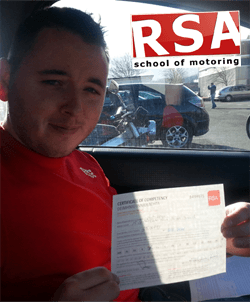 It is vital that you note that if your learner permit is new then you will have to hold out 6 months before you can apply to take the driving test. The reason we are so effective as a driving school is because we care about getting you passed the driving test. Our method is straightforward. We help you to think like the driving tester so you understand what to anticipate and how to perform. If time is running out we don't spend time on areas of your driving that are good. We focus on the bad habits and on the points of your driving that are most likely to cause you to not succeed. Because of our comprehensive knowledge of the driving test we can easily uncover areas of your driving that need work and those that don't. A competency countless instructors do not possess. This means you get the maximum benefit from your time on lesson..
Is gear changing giving you trouble? No problem, you can start or change to automatic at any time. We can begin and complete driving lessons from your house, college or work. We have large panel of instructors all over Dublin 6W (D6W). If you prefer a female instructor in Dublin 6W (D6W) we have one. Also if for any reason you want to switch instructors you can do that to. 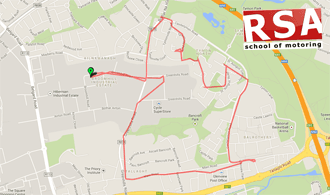 That's one of many important advantages of choosing a larger school of motoring like the RSA School of Motoring. Did you know that motorway driving is not covered by the EDT syllabus or the driving test. As you can imagine compared to driving on normal road ways, motorway driving is a different beast entirely. Our motorway driving course is designed specifically to help those that are nervous about motorway driving and want to learn how to drive on motorways. Not only that, if you complete your 12 EDT syllabus with us and pass your driving test we will provide you with a motorway driving lesson FREE! So the time has come for you to find a driving school for yourself or a loved one. Of course with the internet at our finger tips the obvious thing to do is search 'driving lessons in Dublin 6W (D6W)' or 'pretest driving lessons Dublin 6W (D6W)' on one of the search engines and this is more than likely how you found us. Then its time browse through the many shiny websites that are out there but one should stand out. It continues to stand out. If you're instincts are good you will know that you are on that website right now.